Prophets of Rage (made up of members of Rage Against The Machine, Public Enemy & Cyprss Hill) just released the video for “Unfuck The World”. And it’s directed by Michael Moore (who worked with RATM on the video for “Sleep Now In The Fire”)! Watch it below! “Unfuck The World” is on Prophets Of Rage’s self-titled debut album, which is coming out on September 15th. The album was recorded w/ producer Brendan O’Brien (RATM & Audioslave). 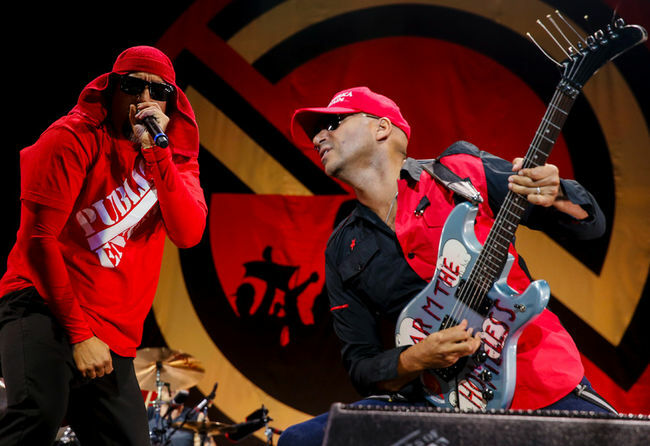 Prophets of Rage made their live debut in May 2016 in Los Angeles.